Ballast Hills Cemetery was a burial ground for non-conformists who had to be hurried outside the church walls, providing the final resting place esp. for plague victims. The earliest burial took place in 1609. 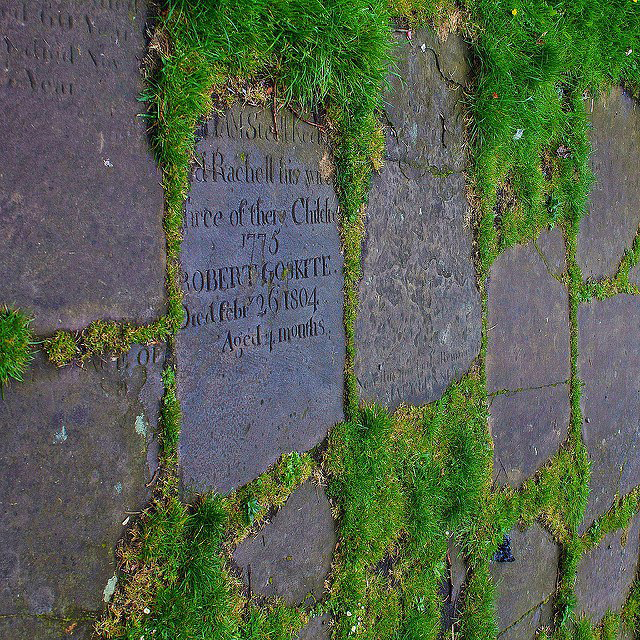 The graveyard was formalised in 1785 with a wall being built and charges being made for burials. The last burial was in 1853 when it was closed because of a cholera outbreak. This year’s Spring Meeting of the British Epigraphy Society will be held on 18 May in Newcastle, in conjunction with the School of History, Classics and Archaeology at Newcastle University and the Great North Museum, on the theme of ‘Epigraphy and Frontiers’. The Meeting is organised by Dr Simon Corcoran of Newcastle University; speakers include Franco Luciani, Anne Elizabeth Redgate and Sam Turner (all Newcastle), Roger Tomlin (Oxford), Claire Millington (KCL), Ted Kaizer (Durham), and John Davies (Liverpool). Participants will be able to enjoy a tour of the epigraphic display in the GNM led by Roger Tomlin!